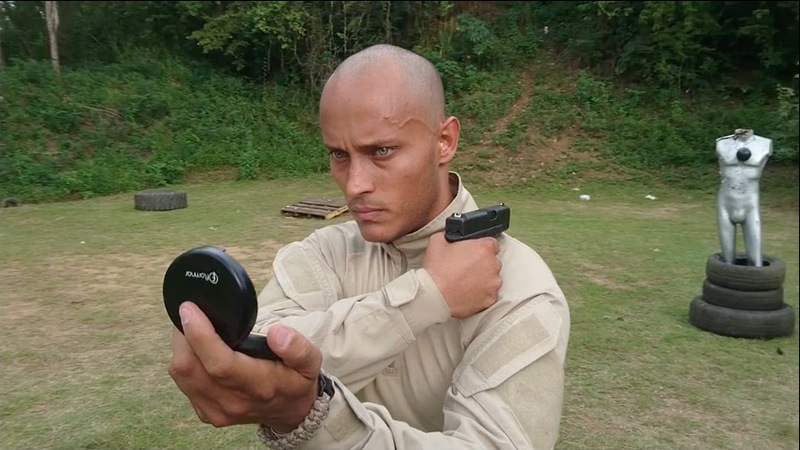 Óscar Pérez was a Venezuelan elite police who specialized in piloting helicopters, scuba-diving, parachuting, dog-training, precision shooting, instructing new recruits, etc. He became notorious worldwide in June 2017 when – from his helicopter – he threw grenades on the Supreme Court in a move against the government of Nicolás Maduro. He then became the most wanted man in Venezuela. A leak of information led the military to find his hiding place in January 2018. The whole country witnessed his last moments as he published his negotiation and confrontation live on instagram. Throughout his life he was an active user of social medias, posting regularly videoclips of his exploits. Some of his posts have a surrealist and over-the-top tone, as if they'd come straight from a James Bond movie. This film chronicles the life and death of a controversial figure through the prism of his social medias publications and leaked materials. Jury Prize of International Medium-Lenght Film Meetings. Brive, France.